Well, August was fun, wasn't it?! Lots of grey skies and lower temperatures and then some rain. How darling. At times it felt like autumn had come early, but it did redeem itself on the last day, just in time for End of Month View. 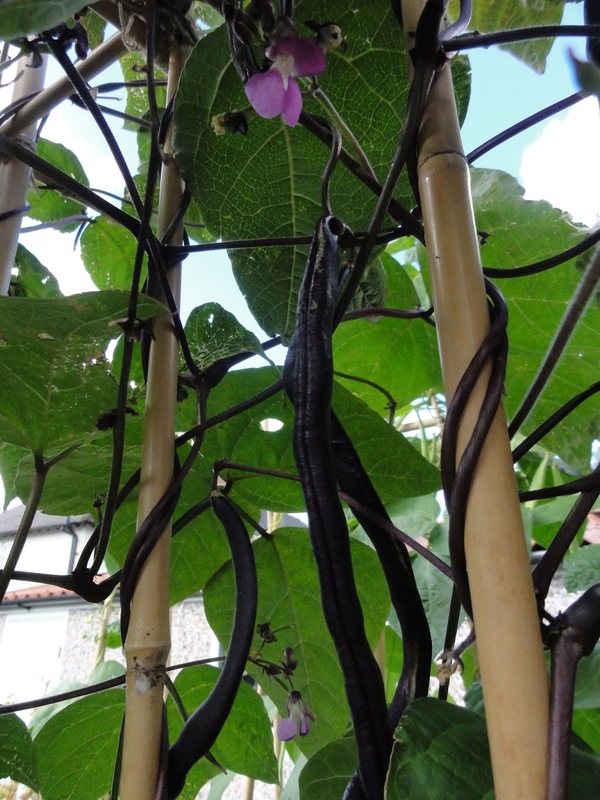 In the Kitchen Garden, despite the weather, August brought lots of French Beans, both climbing and dwarf. In fact, it's been one of the best years for French beans in years for me in some time. 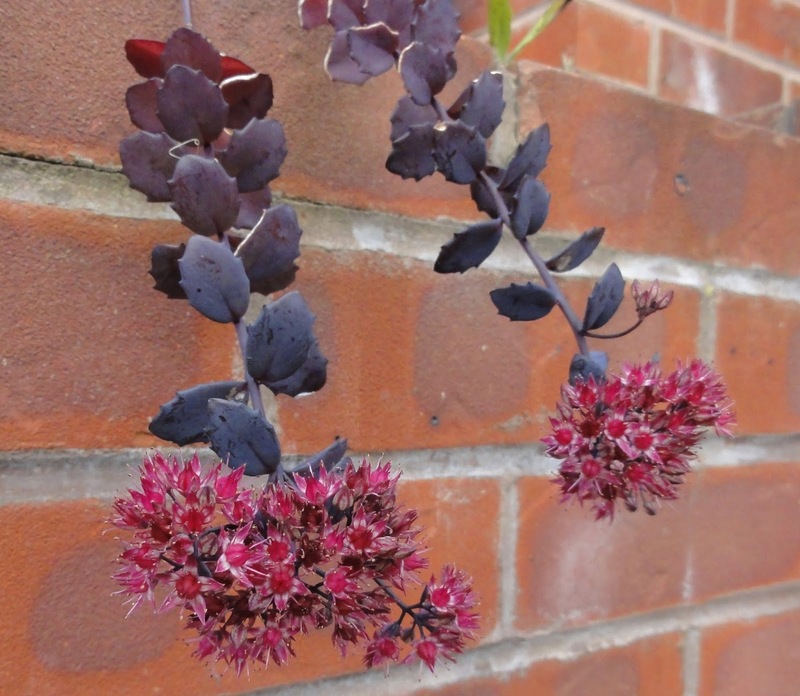 This is a purple HSL climbing variety Dianah Blue. I have found when living in Oxford that this bean did well when others didn't. It's certainly taken to the Sheffield climate without any problems. The following is my favourite French bean, heritage variety Ice Crystal (also known as Ice Crystal Wax). It is an incredibly prolific dwarf bean and is proving to give me the 'glut' I hoped for at the end of July. 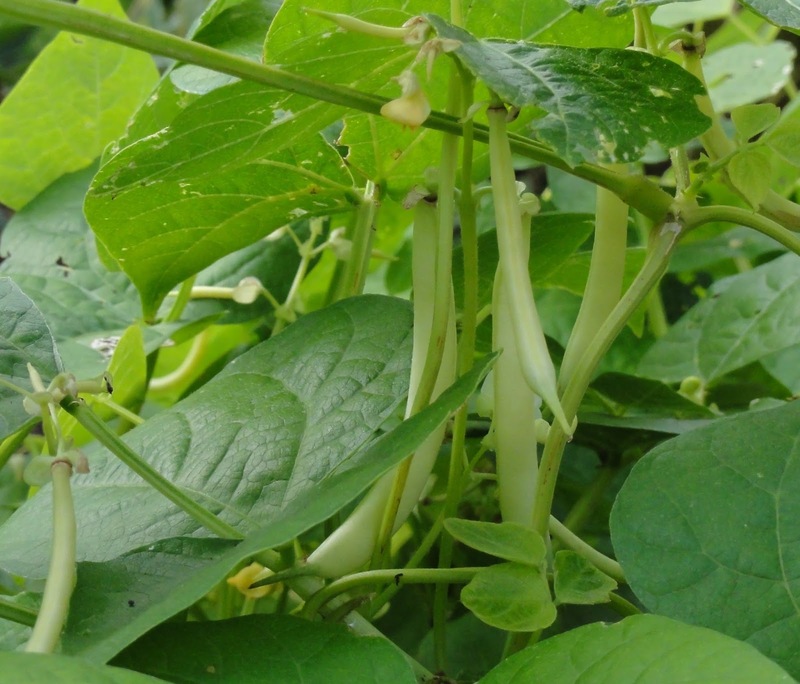 It is a very pale yellow-green, almost white at times, which might not look as exciting to eat as green or purple beans, but wow, it is so crisp and sweet. And did I mention prolific? It also doesn't seem to run to seed quickly and the 'older beans' still taste just as good and don't get stringy. This is my 'couldn't be without' French Bean and I'll be saving seed from this. As long as the weather improves enough so the seed can set that is. 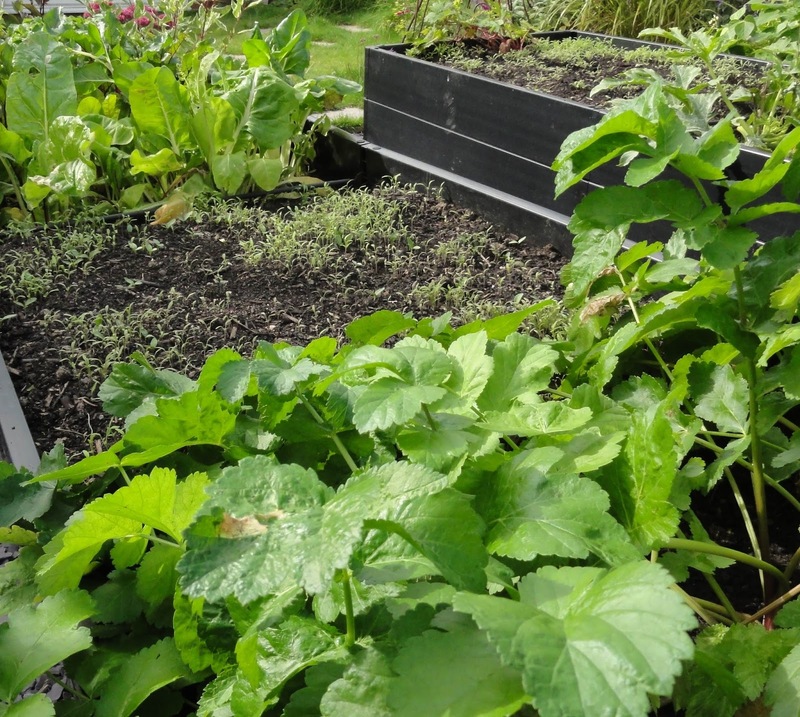 I've also been regularly picking courgettes, kale, carrots and beetroot. And, like the rest of the country, at least going by the number of concerned tweets on Twitter, I haven't been picking tomatoes. Nope, none of the buggers want to go red. Despite being careful about regularly pinching out side-shoots and feeding them weekly with comfrey liquid, they just aren't going red, not even the ones in my mini-greenhouse. I think the grey August skies really have had an impact on the tomatoes. So here's hoping for a sunnier September. 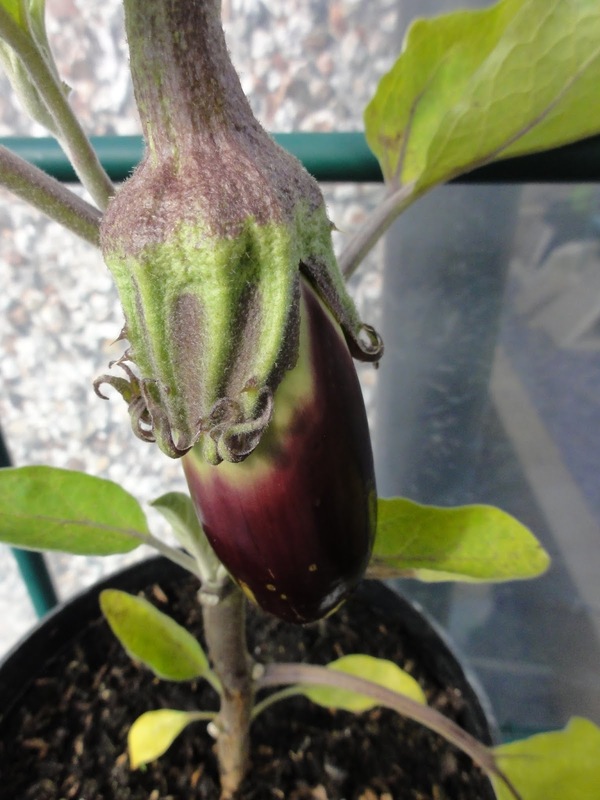 I was excited to see that I do have my first aubergine fruiting. I had hoped to start harvesting them during August, but with the weather I reviewed my hopes and decided that just getting some fruiting would be a start. This one is growing in my mini-greenhouse, the ones in the raised beds aren't growing much at all. So I'm hoping that September will bring a harvest, even if a small harvest, of aubergines. One can live in hope. 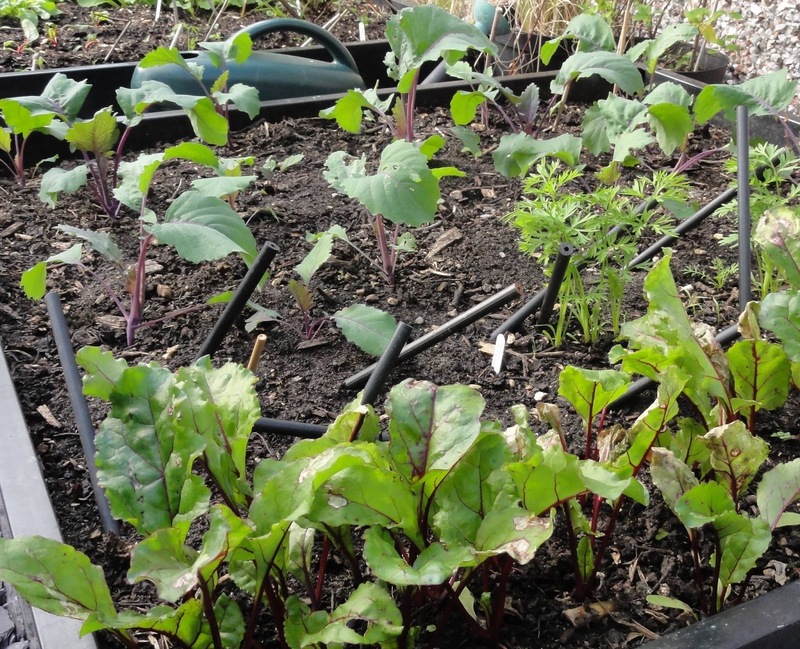 I'm growing Kohl Rabi (variety Azur) for the first time and it's coming along well, as is the second sowing of Beetroot Cylindra which were recommended to me by Jono over at Real Men Sow. They grow more like the shape of carrots and I'm finding I can fit in more and get lots of lovely sweet tasting beetroot. 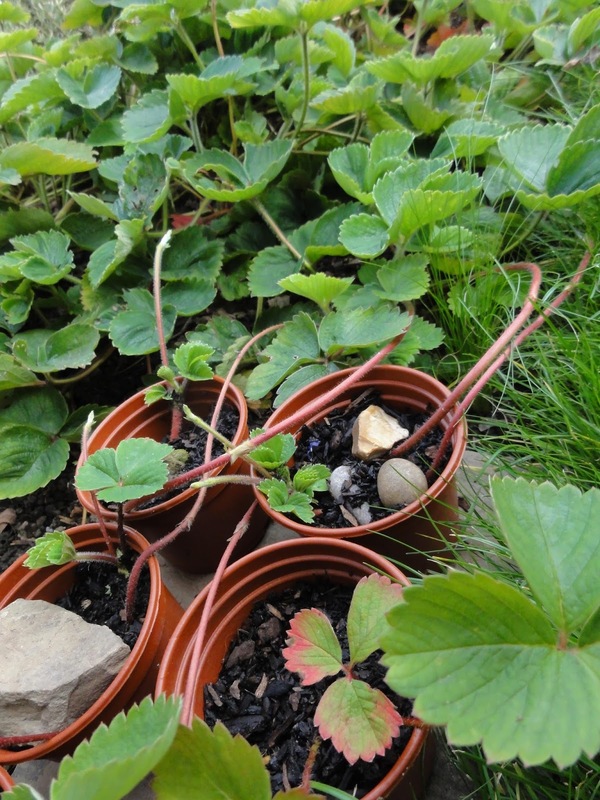 I started rooting Strawberry runners in pots late August, following the instructions, again from Jono, of siting the pots within the patch and using stones to hold down runners to help them take root. Jono really is worth following if you love growing vegetables; he writes engaging posts with lots of really helpful tips. I've started collecting the Pea Lativan seeds and drying them out. And I've been sowing Phacelia tanacetifolia as a green manure, in places where crops have finished harvesting. The greengage tree is really taking off now and send up lots of new growth, particularly since I pruned it apical bud at the beginning of the month to open it up more. It is there, it's just that Helianthus 'Lemon Queen' behind it is being a bit of a bully. The nasturtiums have continued to flower their socks off. 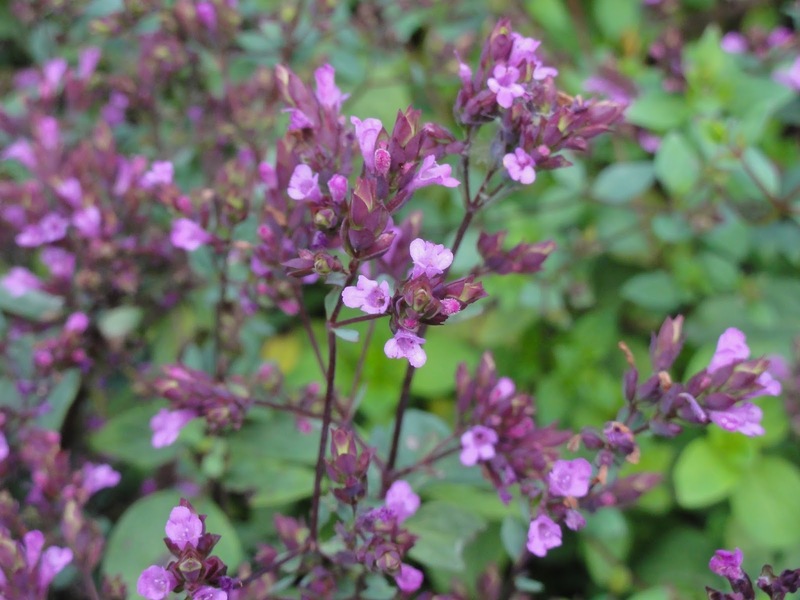 This is another plant that has done better this year than ever before. 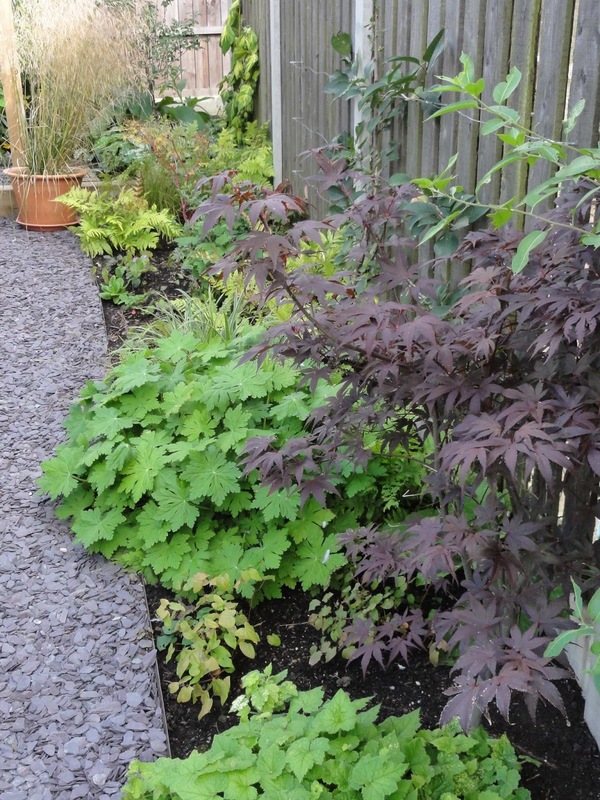 I've added Potentilla 'Monarchs Velvet' to the compost border. Helenium 'Ruby Tuesday', also in the compost border, has finally started flowering. Such a gorgeous colour. I seem to have developed a hot colour planting palette in this back end of the garden, under the pergola and around the compost bins. It was by accident, but I'm liking it and will reflect on how I can improve on it for next year. 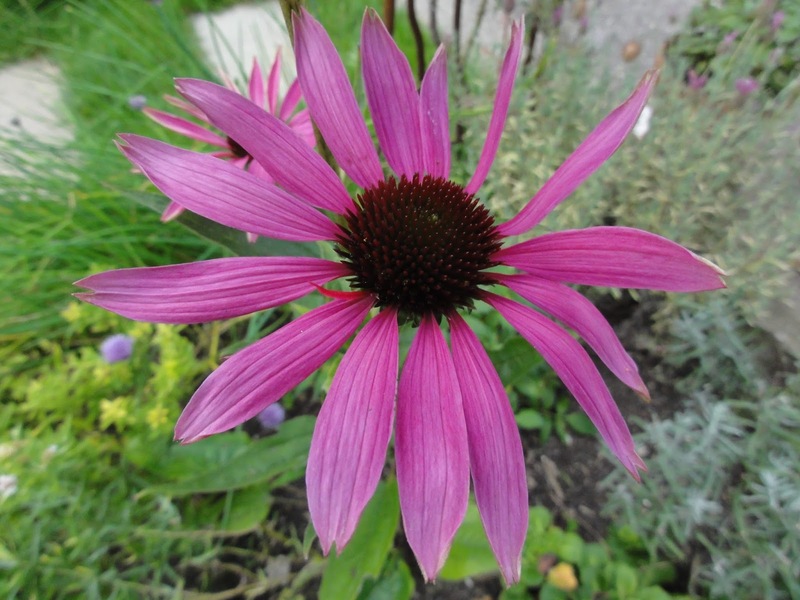 Flowering in the herb border is Origanum amanum and Echinacea purpurea 'Rubinstern'. Calamagrostis x acutiflora 'Karl Foerster' also came into flower just before the end of August. The obelisk was cleared of the Peas that had been growing up it (the ones I'm saving, as mentioned above). This section is looking a tad boring at the moment, apart from the beautiful Allium 'Millennium' that I picked up from Hardy's Plants at the beginning of the month. I will be planting autumn flowering cyclamen corms here so that this time next year the ground under the obelisk will be covered in pretty. 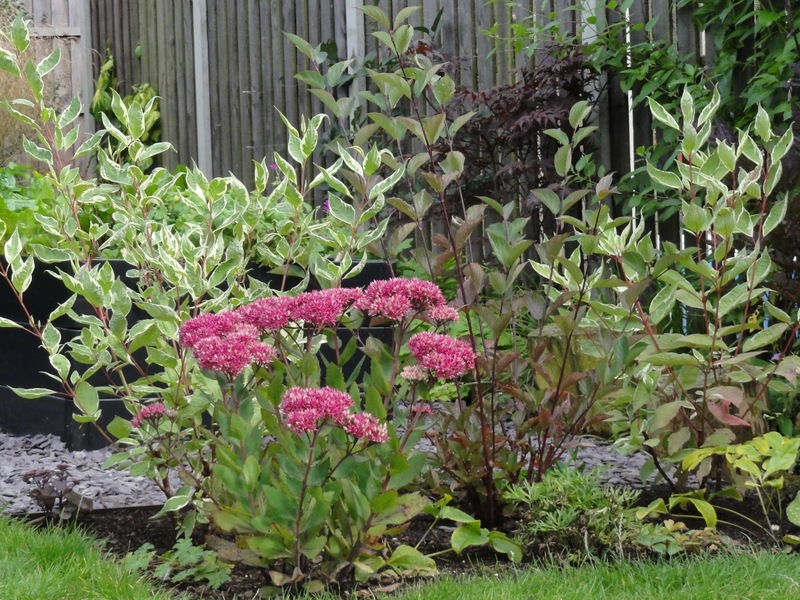 Sedum 'Mr Goodbud' continues to be the star of the Cornus Border. The shadier end of Long Shady Border is quite lush, but I realised that there wasn't that much flowering in August. 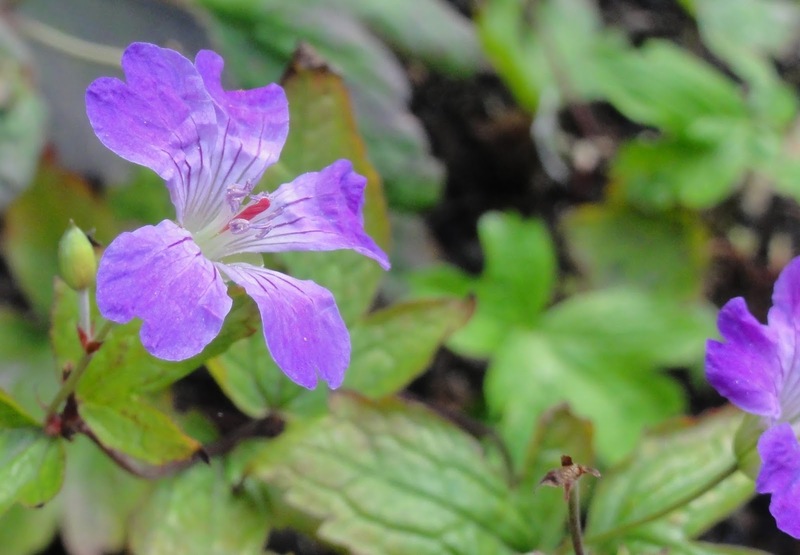 I do love the delicate papery petals of Geranium nodosum 'Clos du Coudray', but you have to go looking for it. Which is, of course, no bad thing, it just would be nice to have a couple of flowering plants standing out when you look at it from further away. On a whim, I added the pink Anemone hupehensis 'Splendens' to this part of the border. It says it will grow in part-shade, so I'm hoping that the part-shade position where I planted it acceptable! I would be grateful for any suggestions of other flowering plants for late summer/early autumn that like shadier borders. Moving to the other end of the Long Shady Border, which gets more sun at this time of the year than the shadier, shady end (there really are several types of shade!). At this time of year, after the yellows and blues from earlier in the year, it turns to a more pink to white theme, again by accident. Now flowering are plants like Saponaria officinalis 'Rosea Plena' and Astrantia major 'Rubra'. 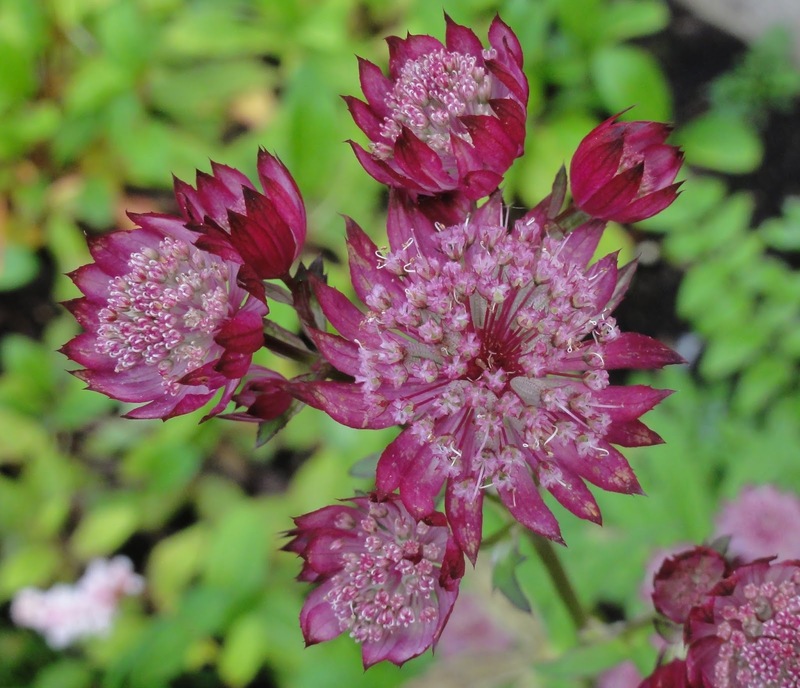 The Astrantia has in fact been flowering for months but more appreciated now as other plants have finished flowering. I have also had a second flowering of Astrantia major 'Hapsden Blood', after pruning the dead flowers from it's first flowering in early summer. Finally, Sedum 'Bertram Anderson' is flowering in the Alpine Wall. It is looking a little straggly this year, I'm hoping it will fill out more next year. The light levels change much more quickly from now as autumn sets in. I look forward to seeing how this effects changes in the garden by the end of September. End of month view is hosted by Helen Johnstone, aka @patientgardener. 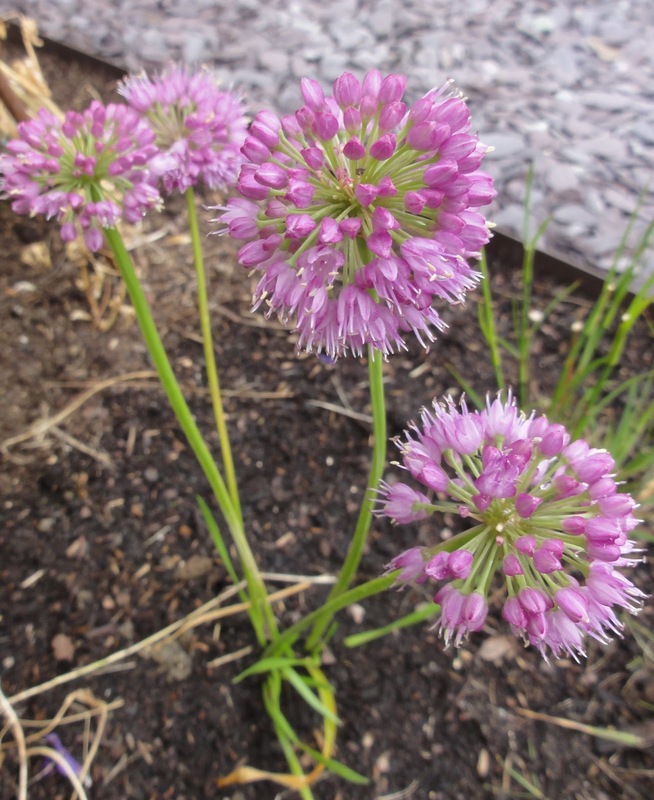 Visit Helen's blog for her August 2014 EOMV and links to other bloggers EOMV posts. I must be bucking the trend then, I am swamped with tomatoes (Sungold). Only Mike eats them and can't keep up. 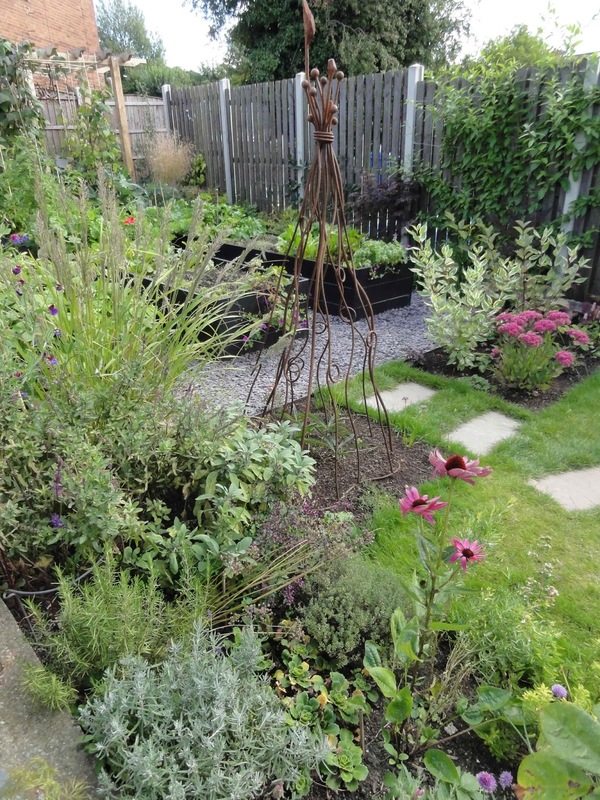 Your garden looks beautiful.The textures and colours of the foliage make it as much as the flowers do. 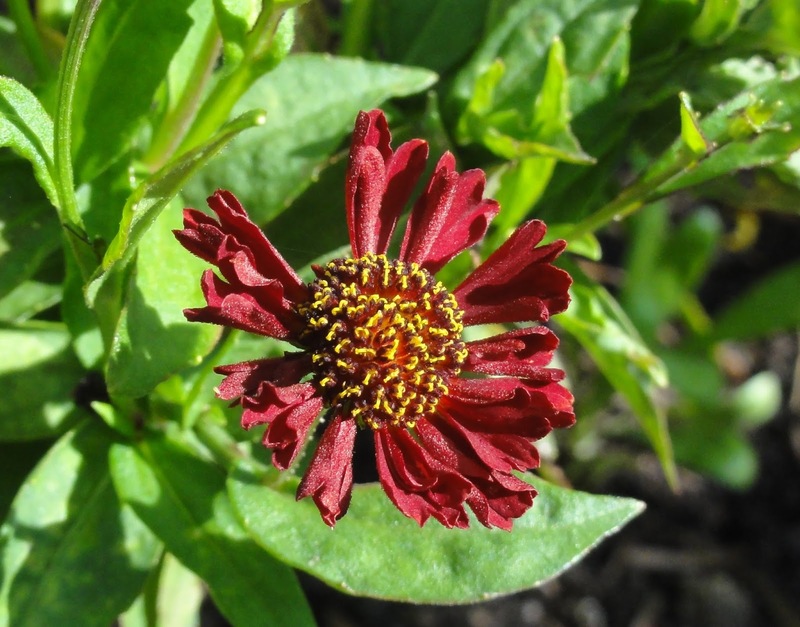 I bought Helenium 'Ruby Tuesday' just this weekend. Oh you are lucky with your tomatoes - I'm jealous! Thanks for the kind comments - I do find the foliage quite restful and I love it. I'd just like to add the odd spurt of late summer colour! 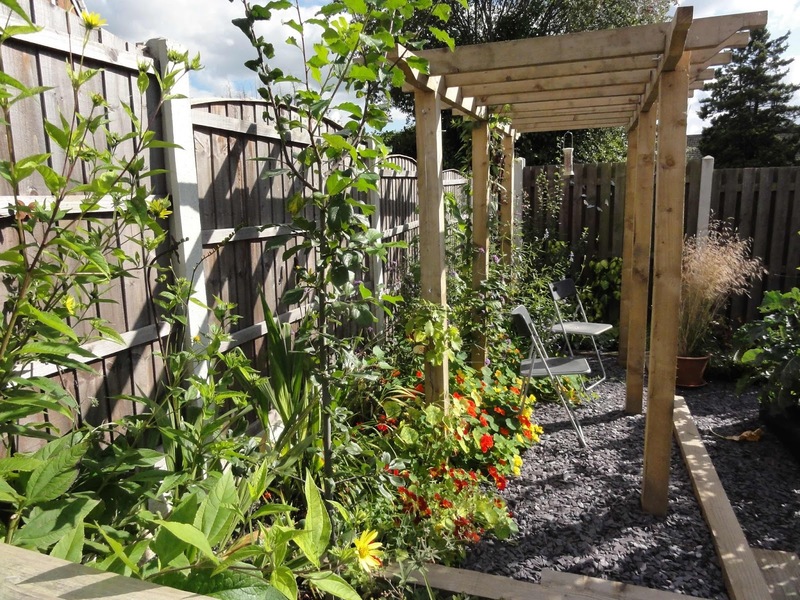 Your garden looks lovely, so many nice looking plants and flowers. Well, I am almost glad to hear I am not the only one with lots of green tomatoes! 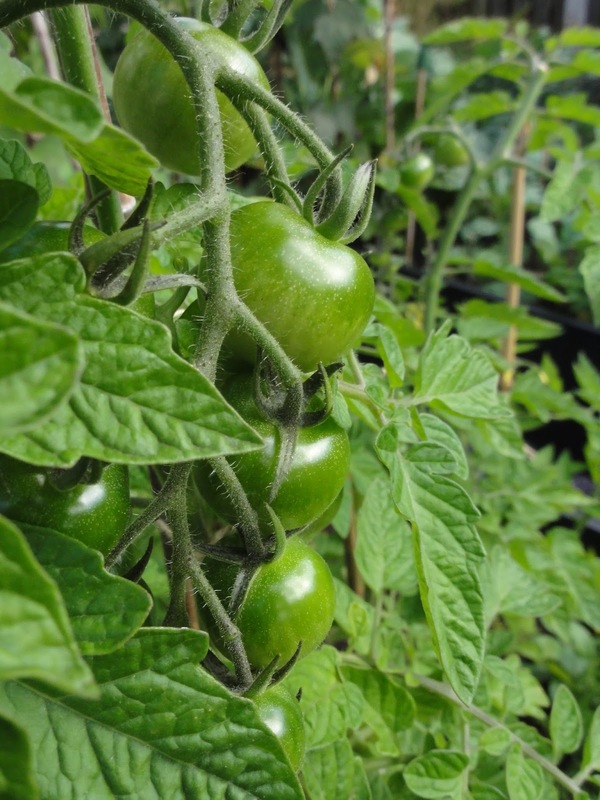 I have had ONE red cherry tomato so far – and since this is my first time growing tomatoes I don’t really know what to expect, except I know I should have been able to harvest by now. Stroll on some good September warmth! And if you want suggestion for flowering plants for shady borders nothing beats fuchsias. They go on right into late autumn and you can get them in all sizes and colours. The frost hardy and most semi hardy will be fine in the ground and just lose their leaves. After a cold winter they might not flower until late summer but after milder winters they will flower from June and onwards. You can choose whether to cut them down every year to keep to size or leave them to grow. The slugs don’t like them and you can eat the berries! As you probably can tell, I am hooked on fuchsias, what’s not to like – any shady area , just plonk a fuchsia in and it will be so happy there! Thanks for the fushia suggestion. I tend to think of them as summer bedding/basket plants, but of course there are many types for all situations. I'll look into that - cheers! 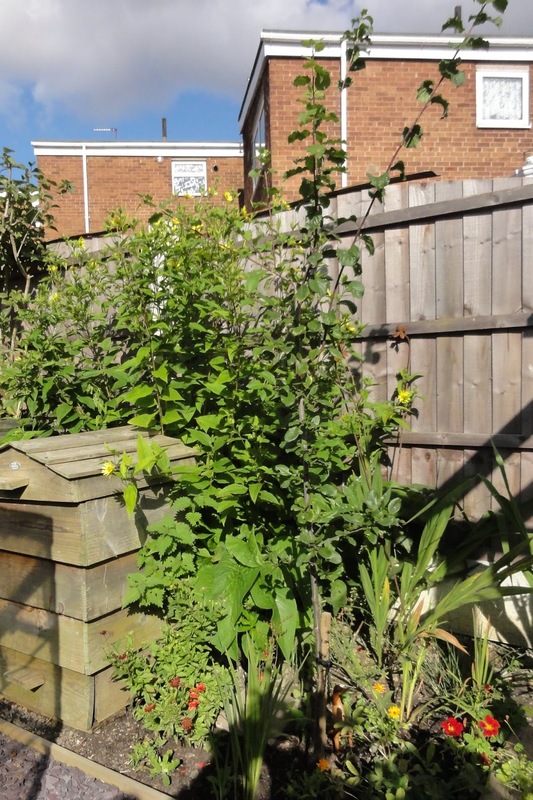 Your garden is looking wonderful, loving all the beans in particular, my beans have been rubbish this year. 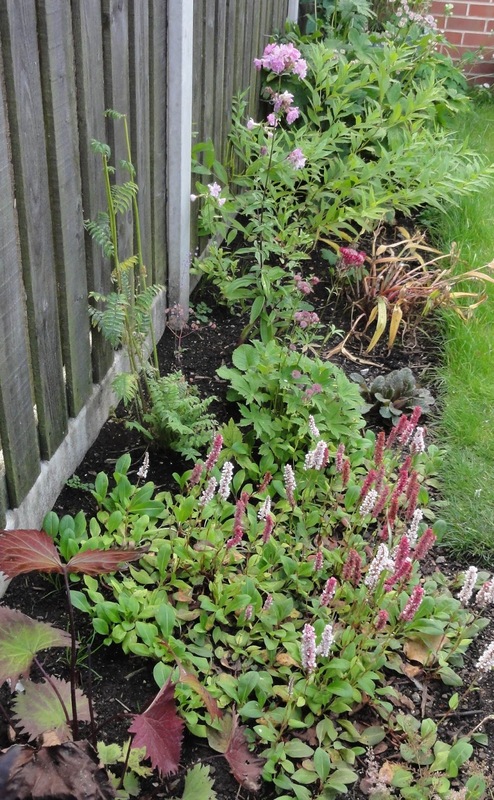 Your borders are looking great too, loving all the colour. Thanks Alison. You never what each year will bring in the kitchen garden - oh the excitement! Your beans are so fabulous, my dwarf french beans got eaten by the slugs, I think we had 6 beans between us! Your foliage is just as good as flowers, but I agree that fuchsias will do well in the shade if you want colour there too.